Richmond has always been one of those wonderful, scenic towns that I love to visit and explore at least twice a year. Partly to escape the skyscrapers of where I live in central London and enjoy a relaxing walk along the river but also to spy on some deer when visiting the brilliant Richmond Park. Richmond is also home to some fantastic architecture, lovely cafes, traditional pubs, an array of designer and boutique shops and of course the Richmond Theatre. 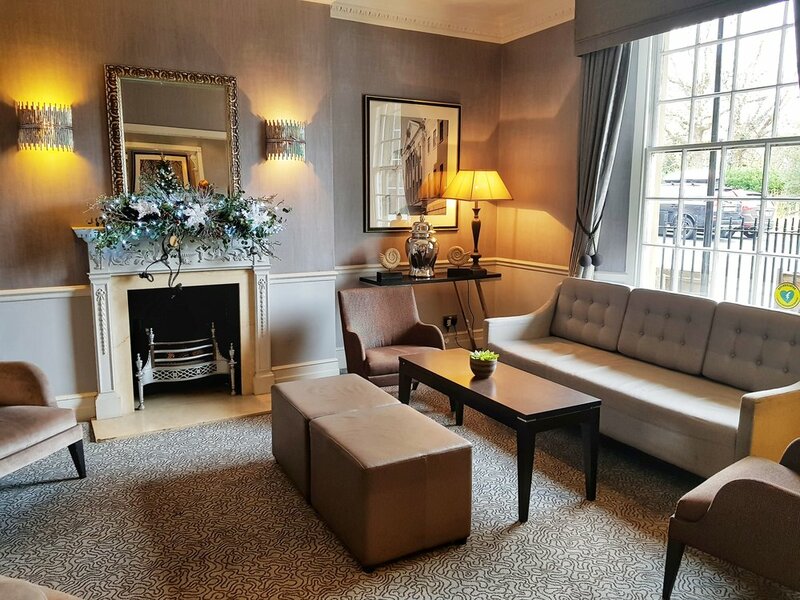 It therefore seemed like a great idea to combine spending some quality time with my Mum in December with staying at The Richmond Hill Hotel where everything we could ever need for an enjoyable weekend was in close proximity to us. 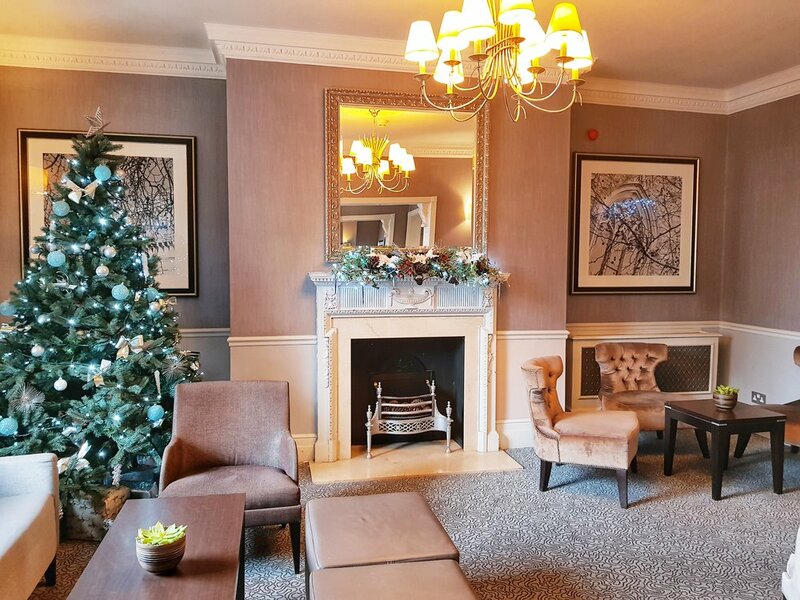 Stepping into the hotel we found that it was beautifully decorated for Christmas, a warm and welcoming entrance with modern furnishings and lots of black and white photography of iconic buildings in Richmond. 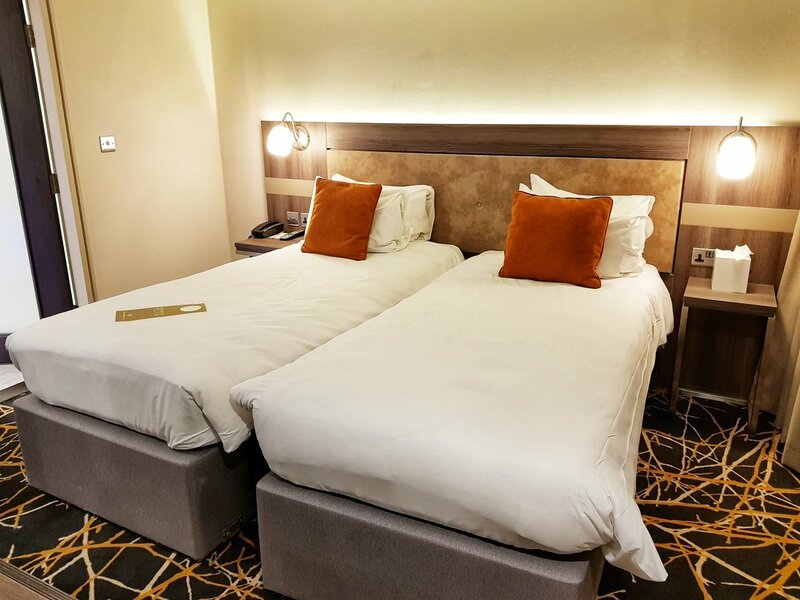 The hotel itself is a short taxi journey from Richmond overground rail station and Richmond tube station. You can also walk from the station in about twenty five minutes. Coming out of the hotel, if you cross the road your view is very green (pictured as below) and you can easily access a path that leads you straight to the river. The hotel is situated in a prime location as it is close to the town but you can also enjoy views like these. I looked forward to having a tour of the hotel as I had read about all their event space but first to check in to our room. Our room was part of the newly refurbished Hill Collection and felt incredible modern and clean. I especially liked the Nespresso coffee machine, great Samsung Smart TV with full Sky package and extra space with a lounge area, perfect to enjoy an episode of Blue Planet. The room also came with a separate bath and modern bathroom with shower which felt really clean and fresh with its white and marble effect decor. If I were to book colleagues into these rooms as part of a conference, I'd feel confident that they would be comfortable here. It was great to have a tour of the event space during the day. One of the rooms was in fact getting prepared to host a Christmas party for Waitrose which looked lovely. 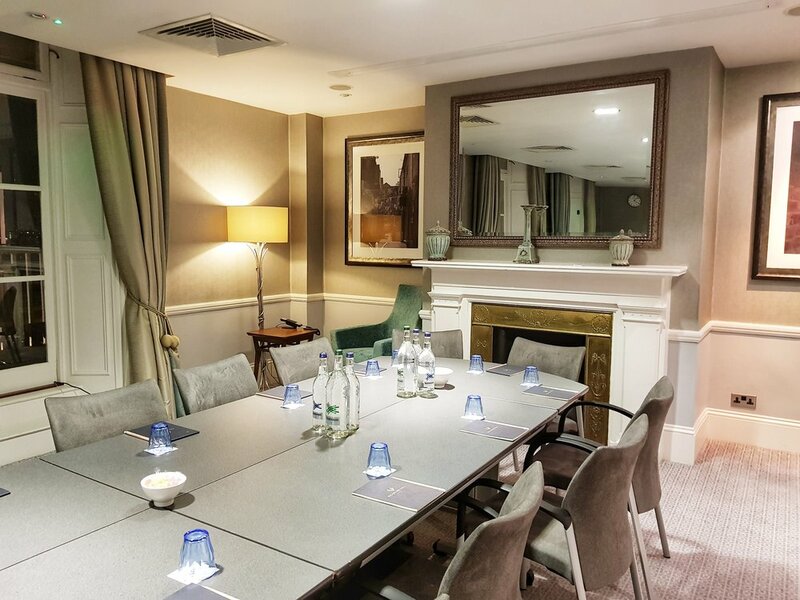 The Richmond Hill Hotel has fifteen meeting and event spaces in varying sizes. The largest is The Ballroom which can host upto 200 people for a private dinner and 180 theatre style, it also has it's own adjoining bar. Please see further details and photos of all fifteen rooms on offer here. Whilst at the hotel we also visited the Cedars Health and Leisure Club which I was disappointed to find out was not connected to the hotel building itself but a short walk away. I had a quick look at the facilities but unfortunately was not tempted to go swimming as it was a particularly cold evening and the club itself did not feel inviting. 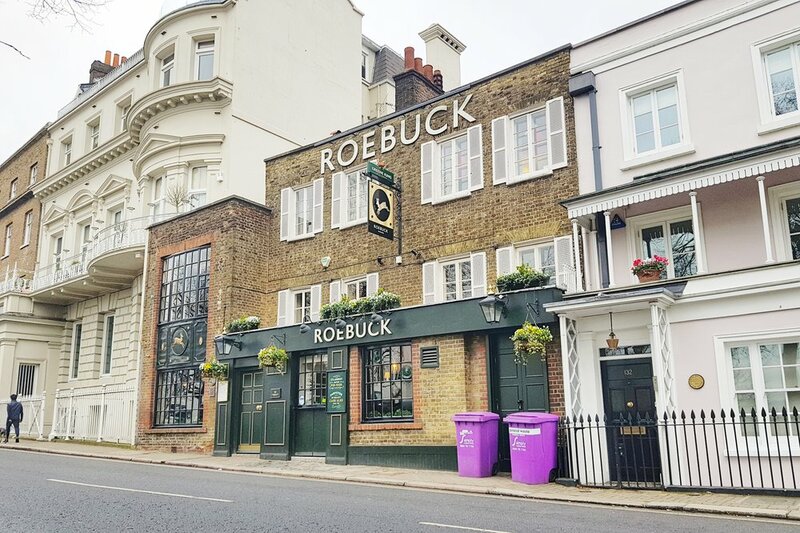 For dinner, we wanted to visit a nearby cosy traditional pub and fortunately for us there was one just minutes from the hotel, The Roebuck, where we enjoyed the appropriate pub classics of a good cheese burger and fish and chips. I later found out that this establishment is visited by Mick Jagger and David Attenborough but unfortunately neither were spotted whilst we were there. The next morning we ventured down for a hearty breakfast. We were seated and brought coffees and on offer was a buffet with lots of fruit, yoghurt, croissants, waffles and of course, a full English, just what you need on a cold winter's day. Overall it was a very pleasant stay at The Richmond Hill Hotel and somewhere I am already recommending to both colleagues and friends alike.